Create a lasting legacy through giving in support of wildlife. History is the story of people and their legacies. How do you want to be remembered? While you’re remembered for your kindnesses and accomplishments throughout your lifetime, you can also ensure being remembered with admiration and gratitude for years to come through the provisions you make for the distribution of your assets (items of value, such as cash, securities, life insurance, retirement accounts) after your lifetime. There are simple ways for you to create your legacy at The Maryland Zoo for generations to come, in ways that directly benefit you, your loved ones, and the Zoo all at the same time. These gifts are called Legacy Gifts, and they can help you make the most of your assets by reducing your estate taxes. The links below will help you discover their substantial benefits. Make a gift for the Zoo’s future that costs you nothing now. Include a gift in your will or trust. A great way to help the Zoo build financial strength and provide resources for a strong future. Avoid capital gains liability and take an income tax deduction. Give appreciated securities instead of cash to make your gift. Buy low and give high-while avoiding capital gains tax. Leave more of your estate to your heirs. Name the Zoo as beneficiary of your retirement plan, and leave lower-taxed assets to your family. Eliminate income tax on retirement plan assets, and free up other property to pass to your heirs. Create a long-term gift that won’t draw funds from your estate. Create a new life insurance policy, or donate a paid-up policy of coverage you no longer need. Increase your ability to make a significant gift to the Zoo. Get back income for life from the assets you give to the Zoo. Create a new life income plan with a charitable annuity trust. Receive income for your lifetime receive a charitable deduction, and diversify your holdings. Did you know there are ways for you to create your legacy at The Maryland Zoo that don’t affect your current lifestyle or your family’s security? Even people of modest means can make a difference through a legacy gift that also reduces your estate taxes. You can create a legacy at the Zoo with gifts that don’t impact the way you live now. You can designate The Maryland Zoo in Baltimore to receive assets (items of value, such as cash, securities, life insurance, retirement accounts) from your estate (the property and possessions that you leave behind) in the future, or you can make immediate gifts to the Zoo of assets that are “out of sight and out of mind.” We call these “Gifts Anyone Can Afford” because you make them right now without impacting your cash flow (ready money), lifestyle, or family security. An immediate charitable gift annuity (CGA) is a contractual arrangement to pay a fixed sum of money to you at regular intervals. You can make a gift and receive guaranteed fixed payments every year for the rest of your life. Payments may be much higher than your return on low-earning securities or certificates of deposit. The Maryland Zoo in Baltimore has partnered with the Baltimore Community Foundation (BCF) to offer you the option of making your legacy gift through a charitable gift annuity (CGA). An annuity is a contractual arrangement to pay a fixed sum of money to you at regular intervals. You will receive an immediate tax deduction and a new source of income you can count on for the rest of your life. After your lifetime, your gift will continue to be managed by The Baltimore Community Foundation, providing income to the Zoo forever. A charitable gift annuity offers tax benefits in addition to a guaranteed income for life and the satisfaction of making a substantial gift to The Maryland Zoo you love. You want to make a significant gift and receive lifetime payments in return. You like the idea of supplemental income you can’t outlive. You want to maximize the payments you receive from your legacy gift — and you want to lower your income tax on those payments. You want the security of payment amounts that will stay the same throughout your lifetime. You appreciate the safety of your payments being a legal financial obligation of the Baltimore Community Foundation. You transfer cash, securities, real estate, or other assets to the Baltimore Community Foundation for the Zoo’s benefit. A contract will be set up between you and the Baltimore Community Foundation that combines immediate annuity payments to you, with a deferred charitable gift to the Zoo. You receive a stream of income that stays the same, regardless of market conditions, for life. You can name up to two beneficiaries to receive income. After the lifetime of all beneficiaries, the balance of your gift annuity becomes part of an endowment which will generate income for The Maryland Zoo in Baltimore forever. You must be at least 65 at the time of the gift to receive immediate income. The minimum gift to create a charitable gift annuity is $10,000. Contact us at The Maryland Zoo in Baltimore to arrange for a meeting to determine the rate that will apply to your annuity. Gift annuity rates are partly determined by the age of the beneficiary. You can create a permanent legacy for the Zoo you care deeply about, while you receive dependable, fixed income for life in return for your gift. In many cases, you will increase the yield you are currently receiving from stocks or CDs. You receive an immediate income tax deduction for a portion of your gift. A portion of the payments to you from your annuity will be tax-free. The Baltimore Community Foundation is licensed by the State of Maryland to offer charitable gift annuities, and your annuity will be backed by BCF’s total assets of more than $190 million. A deferred charitable gift annuity (CGA) is a contractual arrangement to pay a fixed sum of money to you at regular intervals. You can make a gift to The Maryland Zoo now and receive guaranteed fixed payments every year for the rest of your life once you reach 65 years of age. Deferred payments are higher than an immediate payment annuity, as well as many securities and CDs. They are ideal to supplement other retirement income. You may receive a larger charitable income tax deduction than you could get from any other life-income gift plan. You are in high earnings years, looking for both income tax savings now and an additional source of revenue when you retire. You want to make a significant gift to The Maryland Zoo and receive payments in return. You want to maximize the payments you receive from your gift — and you want to lower your income tax on those payments. You want the security of payments that will remain the same throughout your lifetime. This version of the charitable gift annuity is especially designed for younger donors. Called the deferred gift annuity, it makes fixed annual payments to you and/or another beneficiary for life, with payments commencing at a future date. Because of the deferral of income, you will receive higher income rate for these annuities than for annuities whose income starts immediately, and you may receive a larger charitable income tax deduction than you could get from any other life-income gift plan. These two features make the deferred gift annuity quite attractive to donors in high-earnings years who are interested in receiving both current tax deductions and additional sources of retirement income. You transfer cash or securities to the Baltimore Community Foundation for the Zoo’s benefit. 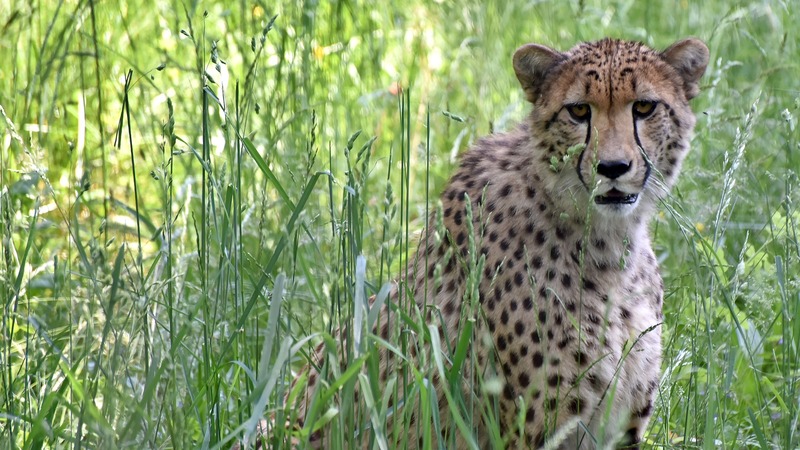 A contract will be set up between you and the Baltimore Community Foundation that combines deferred annuity payments to you, with a deferred charitable gift to the Zoo. Beginning on a specified date in the future, BCF begins to pay you, or up to two beneficiaries you name to receive income, fixed annuity payments for life. After the lifetime of all beneficiaries, the remaining balance of your gift annuity becomes part of an endowment which will generate income for The Maryland Zoo in Baltimore forever. You must be at least 65 to begin receiving payments. The minimum gift requirement is $10,000. Contact us at The Maryland Zoo in Baltimore to arrange for a meeting to determine the rate that will apply to your annuity. Gift annuity rates are partly determined by the age at which you choose to begin receiving payments. You can target your annuity payments to begin when you need them, such as retirement or when a grandchild needs help with tuition payments. The longer you defer payments, the higher the effective rate you will receive. Need to preserve your assets during your lifetime? You can plan a gift to the Zoo that will only take effect after your other obligations have been taken care of. You can make this gift without affecting your cash flow during your lifetime. You want to create a legacy to support The Maryland Zoo, and long-term planning is more important to you than an immediate income-tax deduction. You want the flexibility of a gift commitment that doesn’t affect your current cash flow. You want to reduce the amount of estate taxes your heirs will have to pay. You can make your bequest unrestricted or direct it to a specific purpose. You can indicate either a specific dollar amount or a specific percentage of the remainder of your estate – the amount that remains after paying all debts, costs, and other prior legacies. Your assets will remain in your control during your lifetime. You can direct your bequest to be used for the Zoo’s general benefit or to a particular purpose (be sure to check with us to make sure your gift can be used as intended). You will receive a charitable estate tax deduction for the amount of your gift. Under current tax law there is no upper limit on the estate tax deduction for your charitable bequests. Capital gains taxes are avoided on the amount of your gift to The Maryland Zoo. Please have your will or codicil drafted by an attorney who is familiar with the estate laws of the state where you live. The Zoo is not engaged in legal or tax advisory service. Your retirement plan is the most tax-burdened asset you own. If you choose to leave it to the Zoo, you can leave more money to your family. The balance of your retirement plan may be worth more when you donate it to the Zoo than to your heirs. This tax is in addition to the estate tax that may be imposed on the account. For estates fully subject to the estate tax, the result can be that up to 70 percent of the value of your retirement plan will be consumed in taxes before your child, relative, or friend receives it, leaving them only 30 cents on the dollar you worked so hard to earn. You prefer to make a gift to the Zoo through your estate plan. You want to balance your giving between providing for your family and for the Zoo. You name The Maryland Zoo in Baltimore as the beneficiary of all or a portion of your IRA, 401(k) or other qualified plan. You can designate the Zoo to receive all or a portion of the balance of your plan through your plan administrator. Simply contact your IRA or retirement plan administrator and request a Change of Beneficiary Form, fill it out naming The Maryland Zoo as the beneficiary of all or a portion of your retirement plan, and submit it. All or a portion of the balance of your plan will pass to The Maryland Zoo after your lifetime. You will avoid the double taxation your retirement savings would face if you designated your heirs as beneficiaries. You can continue to take regular lifetime withdrawals. You can always decide to revoke the Zoo as a beneficiary if your family’s needs change. The IRS allows its most significant tax breaks for gifts of appreciated securities. Giving appreciated stock could be more beneficial than giving cash. A $5,000 cash gift and a gift of $5,000 in appreciated securities both generate the same charitable deduction. You want to make an outright gift or fund a gift that will first return lifetime payments to you and/or another beneficiary. You want to diversify your assets to increase your income without having to pay the capital gains taxes that would result from a sale. You transfer appreciated stocks, bonds, or mutual fund shares you have owned for one year or more to The Maryland Zoo in Baltimore. You contact us so we can help you set up an electronic transfer of your shares to the Zoo’s brokerage account or tell you how to sign the stock certificates over to the Zoo and fill out a stock power form. The Zoo will sell your securities and use the proceeds for the purpose you specify at the time of the gift. Gifts of stock are deductible up to 30% of your adjusted gross income the year you make your gift. Any excess amount can be rolled over into the next tax year, for up to 5 additional tax years if you need to. Important Tip: Don’t sell the stock first. Even though you can still give the Zoo the proceeds as a gift, if you sell the stock first instead of giving the stock to the Zoo, the IRS will impose capital gains tax on your sale, wiping out the benefits of this arrangement. You can provide right now for a future gift to The Maryland Zoo in Baltimore by naming the Zoo as owner and beneficiary of a new life insurance policy, while you deduct the cost of premium payments from your income taxes. If you don’t expect to accumulate large amounts of capital during your lifetime, and your family will have first call on your estate, you can still make a significant gift to the Zoo. Life insurance uses manageable payments made from income — the premiums — to create a large future gift. You can build the Zoo’s long-term financial strength without diminishing your own. Your estate probably won’t have substantial assets to distribute to non-family members. You can make a commitment to provide yearly gifts to the Zoo that will offset our premium payments on the policy. Make the gift by taking out a new policy on your life, naming The Maryland Zoo in Baltimore the irrevocable owner as well as beneficiary(this arrangement makes the gift complete in the eyes of the IRS). The Zoo will receive the premium notices, and you will make yearly donations to the Zoo to offset the payment of the premiums. These gifts will, of course, be tax-deductible. There is no deduction for setting up the policy itself. When the policy matures the proceeds are paid to the Zoo, and we apply them to the purpose you have designated. You can make a significant gift from income instead of from capital. Your yearly gifts offsetting the Zoo’s premium payments on the policy are fully tax deductible. Donate an existing policy, take a deduction, deduct future premium payments, if any, and make an extraordinary gift. You’ll also get the proceeds out of your taxable estate. This gift will generate an initial tax deduction: the lesser of the policy’s fair market value or the total of your net premium payments. If premiums are still payable, we will ask you to make tax-deductible contributions to the Zoo offsetting our payment of those premiums. The Zoo can either keep the policy in force during your lifetime or to terminate it sooner for its cash-surrender value. You can make a commitment to provide yearly donations to the Zoo that will offset our premium payments on the policy. You simply contact your insurance company and request a Change of Beneficiary Form. The Zoo will receive the premium notices, and you will make yearly donations to the Zoo to offset our payments. These gifts will, of course, be tax-deductible. There is no deduction for setting up the policy itself. You can make a significant gift from income instead of capital. Your gifts offsetting our premium payments are fully deductible. Are you still carrying life insurance policies your family no longer needs? Consider giving those surplus policies to The Maryland Zoo in Baltimore. You may be able to make a larger gift than you ever thought possible by using an asset you no longer need. You can donate your paid-up life insurance policy, take a tax deduction, and make an extraordinary gift to the Zoo. You’ll also get the proceeds out of your taxable estate. You are maintaining insurance coverage that your family no longer needs. You hold few appreciated securities that you wish to donate. A significant charitable deduction would be useful to you this year. You make your gift by naming The Maryland Zoo in Baltimore the irrevocable owner and beneficiary of a paid-up insurance policy on your life (this arrangement makes the gift complete in the eyes of the IRS). The Zoo can either keep your donated insurance policy in force during your lifetime or decide to terminate it sooner for its cash-surrender value. You have the satisfaction of making a substantial gift to the Zoo using a policy that you and your family no longer need. You receive gift credit and an immediate income tax deduction for the lesser of the policy’s fair market value or the total of your net premium payments. In some cases, you can use the cash value in your policy to fund a life-income gift, such as a charitable gift annuity. We hope you will tell us if you decide you’d like to leave a legacy gift to The Maryland Zoo. With your permission, we would like to recognize your gift through membership in our Legacy Society, a distinguished group of Zoo lovers who have generously made legacy gifts to The Maryland Zoo in Baltimore. Your willingness to be listed as a member of our Legacy Society encourages others to follow your example, which is another way you can help your Zoo. Contact us privately at legacy@marylandzoo.org or call 443.552.5290 to learn more. We’re happy to answer any questions you may have. Please recognize that The Maryland Zoo in Baltimore is not in the business of giving tax advice. Please consult your legal counsel when considering these types of gifts, and please see our full disclaimer by clicking here.